I'm sure you will be amazing on your driving adventure, Murees. Can't wait to hear about it. I'm glad you've moved up in the order of importance for drivers in your family. I hope you made it there and back okay! 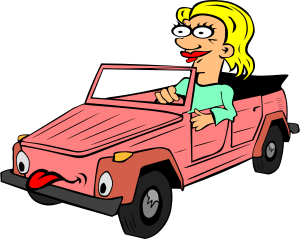 I can't drive - I had lessons but was so bad I gave up :-) My town sighed with relief! Annalisa - I am okay now. I was stressed yesterday, but the nerves are settling. Don't worry about it, think of it as people chauffeuring you around. The littlest changes are always the most fun! Just be safe driving. That's all that really matters. I find that driving is the best contemplation time on my story that I can ever get! Katie - Very true. I also find that my thoughts wander when I drive. But it is best for me to focus on the road. But being able to drive more is a great change.